For the past few Christmases, we've made at least one batch of Peppermint Popcorn. It's always requested when we go to Christmas parties andddd it's so good we like to have it around to snack on before the New Year healthy eating begins. I shared this link a few years ago, but figured it was time to share it again! Peppermint Popcorn is the perfect snack to much on while watching your favorite Christmas movie sipping a cup of hot cocoa. In my opinion, peppermint is the BEST flavor of the season! - Melt the chocolate in the microwave. Be careful you don't burn it! I usually heat it up in 30 second increments until it's melted. - Stir 1/2 cup crushed peppermint into the white chocolate. 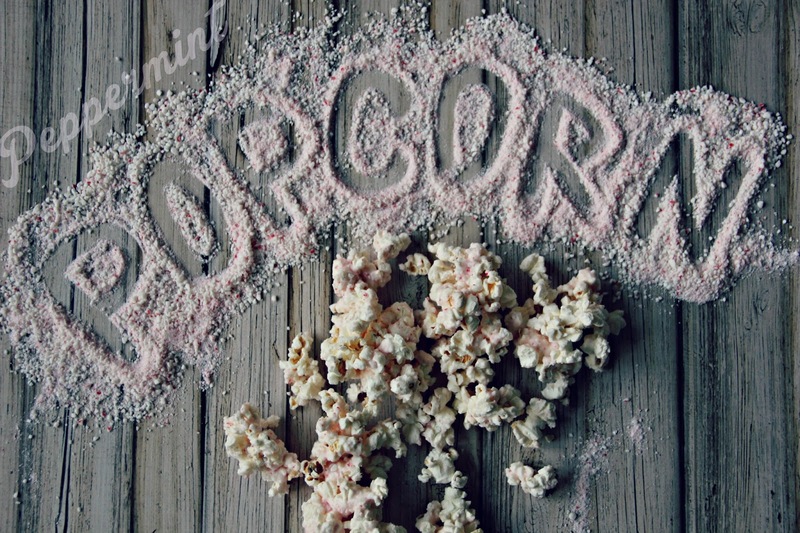 - Pour melted chocolate mixture over the popcorn, gently stir. 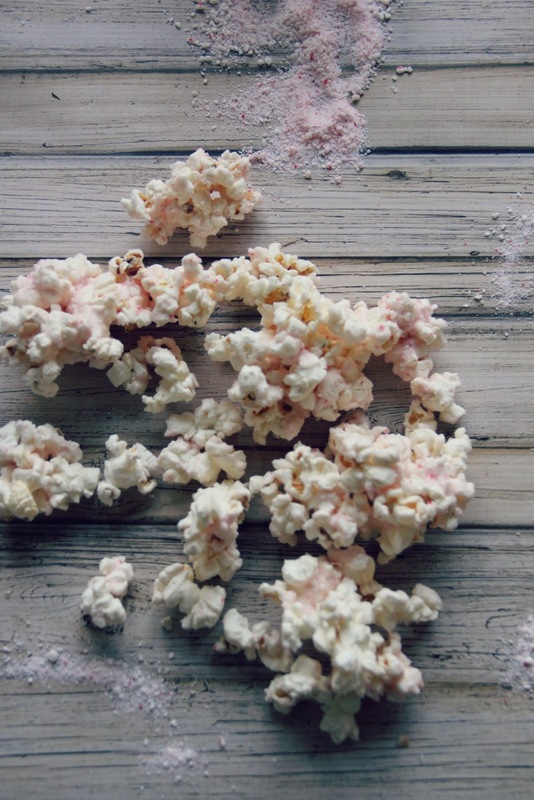 - Lay popcorn out on parchment or wax paper to let the chocolate harden. Sprinkle with remaining peppermint dust. This would be a GREAT gift for neighbors or co-workers or even family members! Everyones loves this stuff. .. this sounds amazing. I love peppermint and popcorn. No idea how I ever missed this kind of recipe! That looks and sounds absolutely incredible! Yum! This sounds delicious. 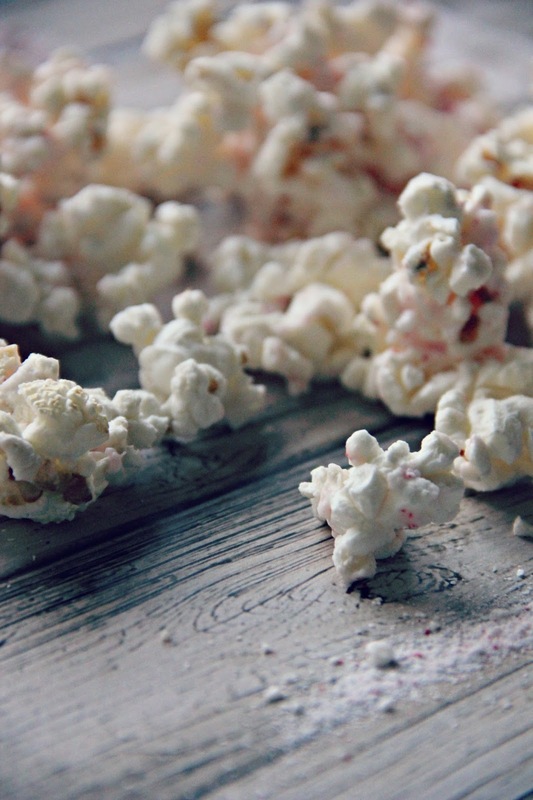 I love popcorn but never think to dress it up.